Here is a nice idea for a christmas time project that will be fun for small and large children. Even a 1 year old child can help already and it's not boring for older children. 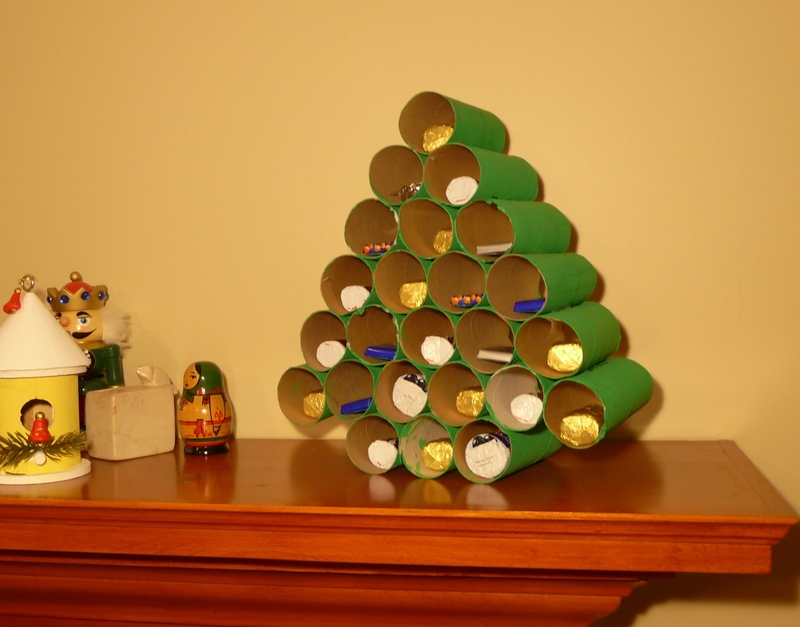 We build an advent calendar out of toilette paper rolls. Just collect 24 empty toilette paper roles in the weeks before the first of December. Paint them green and then glue them together in a tree shape as shown below.